Welcome to the Keto Island Boyz podcast! We are just 2 Islanders doing Keto and would like to share our journey. Every Friday we will publish a new podcast full of guests and fun filled commentaries surrounding the health and science of a Ketogenic diet and give our personal tips and advice for being successful and answer any listener questions! Also at the end of every podcast we break down a popular food chain menu and tell you what the KETO ISLAND BOYZ would order. Also what foods PRE-KETO ISLAND BOYZ would have ordered. Please hit that subscribe button on the top corner please. Mahalo! #039 How to break through a weight loss stall & is tracking your macros important? Today we are interviewing Toni DesLauriers @keto_wineo who started Keto at 197lbs and now is 157lbs since since starting Keto 7 months ago. Toni is a Keto Wine Consultant & Keto Coach and does a weekly Keto cooking show every Thursday. You can contact her via her website address : www.scoutandcellar.com/ketowineo. For anyone with any questions about wine and which ones are great for Keto stay tune and listen. Send us your questions or feedback about the podcast, what you like or didn't like or want to hear on the next podcast or if you want to be a guest on our show, email us at: ketoislandboyz@gmail.com. Also Follow us on Instagram & Twitter: @KetoIslandBoyz. Also make sure to hit that subscribe button for our podcast so you can hear all the latest updates and podcasts. DISCLAIMER: We are not nutritionists. These are just our experiences and what has worked for us. Mahalo and come back next week for another episode of THE KETO ISLAND BOYZ SUPPORT: If you like your podcast and want us to continue to publish every week. Please consider a donation to the Keto Island Boys. Just a couple bucks like a cup of coffee would be awesome. We will give supporters priority at being a guest on future episodes and of course will get shout outs every week on the podcast. Today we are interviewing Nat from Miami who started Keto on March 2018 and currently lost over 50 pounds on Keto. We talk about working out, intermittent fasting. We also talk about women's menstrual cycle and how Keto changed her cycle as well. LINKS AND REFERENCES MENTIONED IN THIS EPISODE: Music: Menu: Fiji- Naughty Girl Menu: http://www.fiveguys.com/ 5 Guys Secret Menu: https://www.wideopeneats.com/five-guys-secret-menu-items/ Send us your questions or feedback about the podcast, what you like or didn't like or want to hear on the next podcast or if you want to be a guest on our show, email us at: ketoislandboyz@gmail.com. Also Follow us on Instagram & Twitter: @KetoIslandBoyz. Also make sure to hit that subscribe button for our podcast so you can hear all the latest updates and podcasts. DISCLAIMER: We are not nutritionists. These are just our experiences and what has worked for us. Mahalo and come back next week for another episode of THE KETO ISLAND BOYZ SUPPORT: If you like your podcast and want us to continue to publish every week. Please consider a donation to the Keto Island Boys. Just a couple bucks like a cup of coffee would be awesome. We will give supporters priority at being a guest on future episodes and of course will get shout outs every week on the podcast. Today we are checking in with Keila Pritchard, our first reoccurring guest, to see how his keto lifestyle journey is progressing. We also discuss an initiative trying to be passed in the Washington state legislature that has a $20 million dollar campaign paid for by big soda: Vote no means yes, vote yes means no? LINKS AND REFERENCES MENTIONED IN THIS EPISODE: INITIATIVE 1634 https://q13fox.com/2018/10/24/i-1634-will-decide-whether-to-ban-food-taxes-like-seattles/ Music: Menu: Rebelution - What I Know Menu: Taco Time https://tacotimenw.com Send us your questions or feedback about the podcast, what you like or didn't like or want to hear on the next podcast or if you want to be a guest on our show, email us at: ketoislandboyz@gmail.com. Also Follow us on Instagram & Twitter: @KetoIslandBoyz. Also make sure to hit that subscribe button for our podcast so you can hear all the latest updates and podcasts. DISCLAIMER: We are not nutritionists. These are just our experiences and what has worked for us. 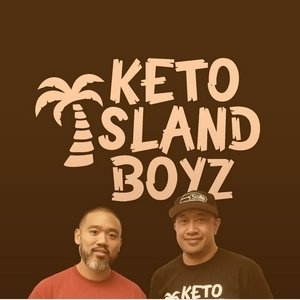 Mahalo and come back next week for another episode of THE KETO ISLAND BOYZ SUPPORT: If you like your podcast and want us to continue to publish every week. Please consider a donation to the Keto Island Boys. Just a couple bucks like a cup of coffee would be awesome. We will give supporters priority at being a guest on future episodes and of course will get shout outs every week on the podcast. Today we are interviewing Nando. (keto_Nando on IG). Nando has been doing Keto since Jan 2018 at over 500 pounds and currently has lost over 140 pounds. His doctors told him surgery was his only option. Hear how he refused to accept that as his only option. Our food segment we also break down the Chipotle Menu. LINKS AND REFERENCES MENTIONED IN THIS EPISODE: Music: Kranium - Nobody Has To Know ft Dolla $ign Menu: Chipotle: https://www.chipotle.com/nutrition-calculator Send us your questions or feedback about the podcast, what you like or didn't like or want to hear on the next podcast or if you want to be a guest on our show, email us at: ketoislandboyz@gmail.com. Also Follow us on Instagram & Twitter: @KetoIslandBoyz. Also make sure to hit that subscribe button for our podcast so you can hear all the latest updates and podcasts. DISCLAIMER: We are not nutritionists. These are just our experiences and what has worked for us. Mahalo and come back next week for another episode of THE KETO ISLAND BOYZ SUPPORT: If you like your podcast and want us to continue to publish every week. Please consider a donation to the Keto Island Boys. Just a couple bucks like a cup of coffee would be awesome. We will give supporters priority at being a guest on future episodes and of course will get shout outs every week on the podcast. #015 "I grew up in Spanaway....." Feat. Sara B. Today we are interviewing Richard Wolfgramm aka Lisiate Richard is a teacher/mentor for the Mana Academy Charter School that encourages culture based learning for the Polynesian community in the Greater Salt Lake City Utah area. Richard struggled with his weight and at his heaviest weighted up to 425 lbs. He has been doing keto on and off the last 3 years. Listen to his journey with keto and how he approaches eating, social functions and being a mentor in the Polynesian community. LINKS AND REFERENCES MENTIONED IN THIS EPISODE: Youtube: https://www.youtube.com/user/lisiatew IG: https://www.instagram.com/lisiatew/ Music: UB40 - They Way You Do The Things You Do @ Benaroya Hall - Sunday Sept 16th Menu: https://www.buffalowildwings.com/en/food/nutrition DISCLAIMER: We are not nutritionists. These are just our experiences and what has worked for us. Come back next week for another episode of THE KETO ISLAND BOYZ If you like our podcast, subscribe, tell your friends! Malo 'aupito! Today we are interviewing Bishop (Van). Bishop was born and raised in Guam, lived in Seattle for 20 years, and now lives in Utah, just started his Keto journey yesterday. Hear about his start w/ Keto and the advice we gave him. LINKS AND REFERENCES MENTIONED IN THIS EPISODE: Music: Makisi - "What Do You Mean" They wil be at Jazzbones Fri 09.07.18 Menu Jimmy Johns: https://www.jimmyjohns.com/downloadable-files/NutritionGuide.pdf Send us your questions or feedback about the podcast, what you like or didn't like or want to hear on the next podcast or if you want to be a guest on our show, email us at: ketoislandboyz@gmail.com. Also Follow us on Instagram & Twitter: @KetoIslandBoyz. Also make sure to hit that subscribe button for our podcast so you can hear all the latest updates and podcasts. DISCLAIMER: We are not nutritionists. These are just our experiences and what has worked for us. Mahalo and come back next week for another episode of THE KETO ISLAND BOYZ! About This Episode: This episode features Ryan Bauzon. Ryan has been doing Keto for over 1 year and was the reason why Jeff started Keto. Listen to Ryan's journey. We talk about medications, gout, struggling w/ weight and how he sustained this diet for more than 1 year. LINKS AND REFERENCES MENTIONED IN THIS EPISODE: Music: Common Kings - Alcoholic Menu: Golden Corral https://www.goldencorral.com/nutrition/ Send us your questions or feedback about the podcast, what you like or didn't like or want to hear on the next podcast or if you want to be a guest on our show, email us at: ketoislandboyz@gmail.com and we will also give you a shout out. Also Follow us on Instagram & Twitter: @KetoIslandBoyz. & please make sure to hit that subscribe button on your podcast app so you can hear all the latest updates and podcasts. DISCLAIMER: We are not nutritionists. These are just our experiences and what has worked for us. Come back next week for another episode of THE KETO ISLAND BOYZ. About This Episode: We are interviewing Keila Pritchard who has done the Ketogenic Diet since Feb 26, 2018 starting at 366 pounds. We are going to hear about his journey and success on Keto and where he is at now: LINKS MENTIONED IN THIS EPISODE: McDonalds: https://www.mcdonalds.com/us/en-us/full-menu.html Music: Katchafire - Seriously Send us your questions or feedback about the podcast or if you want to be a guest on our show, email us at: ketoislandboyz@gmail.com. Also Follow us on Instagram & Twitter: KetoIslandBoyz Disclaimer: We are not nutritionists. These are just our experiences and what has worked for us. 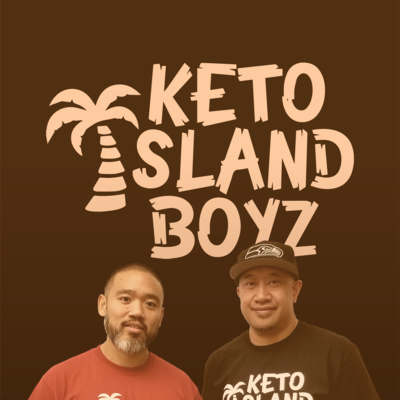 Keto Island Boyz first episode, who we are, what the keto diet is and why we started doing it.